"The origins of life follow the same pattern, just as it is with atoms, molecules or macromolecules"
RT spoke with Andrey Finkelstein, Director of the Institute of Applied Astronomy about the scientific reasoning behind his controversial statement that in 20 years humanity will discover aliens and they are likely to look much like humans. RT: Mr. Finkelstein, thank you for being with us tonight. You have promised that in twenty years’ time you will have discovered life on other planets. Are we actually talking about aliens, or merely some bacteria? Andrey Finkelstein: We are talking life forms, of course. What particular form such life could be is a separate question. Where there is life, intelligence and civilization are a possibility. But discovering life is of primary importance. AF: What I‘m going to tell you is a paradox. The form will definitely be well-known to us. In my opinion, and I believe experts generally agree on this, life and intelligence, should they exist elsewhere at all, should be highly human-like. You see, essentially, the origins of life follow the same pattern, just as it is with atoms, molecules or macromolecules. There are fundamental laws of physics that apply invariably in each case. These laws have been thoroughly researched and explained. Now all you need is the right environment that would enable a process like that to start. For example, an atom of hydrogen that originates in a galaxy located millions of parsecs away from us – that is hundreds of millions of light years away – is absolutely identical to a hydrogen atom that originates in our Solar System. Because fundamental laws are universal. And it’s the same with the fundamental laws that govern the origins of life, including the fundamental laws of evolution. These are universal, so all living things should have the same composition, and living organisms should look like the ones we encounter on Earth. RT: Could these life forms you’re talking about develop into a civilization? AF: Primarily, they can develop intelligence. I think it is possible, because, apparently, there is some regular pattern that life inevitably develops intelligence, if only there is enough time, and intelligence leads to civilization. However, this is a very long process. Mind you, the Earth formed 4.5 billion years ago. Four billion years ago, it was already suitable for life forms, and in fact, that is how long ago initial indications of life date back to. But evolution takes a long time. Homo sapiens originated 200,000 years ago, but it was only 40,000 years ago that modern humans came about, the culture-bearing humans that you and I belong to. By the way, their genesis was a paradox, too, as they emerged on Earth very quietly, and then they immediately spread all over the vast area from the Cape of Good Hope to China. Apparently, there are some laws that we still don’t know in detail. RT: As a scientist, would you guarantee one hundred per cent that we will discover life? AF: Yes. And I will explain why. You see, there is this rational, if not purely scientific, outlook on the universe: a process can either be unique, or, if there is at least one similar occurrence, then it is a regular phenomenon. For some time, scientists believed that the Solar System is something unique, but nowadays we find that most stars have planets. Furthermore, the formation of planets is an inevitable process which occurs when a giant molecular cloud forms into a star. About a thousand planets located around different stars have been discovered to this date. Over 500 stars are known to have planets. A million planets are projected to be discovered within the next ten years. Moreover, some of the recently discovered planets not only resemble the Earth by composition, but also seem to have oxygen. And oxygen necessarily indicates the presence of life. So, planets are a regular phenomenon. Meanwhile, the universe consists of about a hundred billion galaxies, and each of them has roughly a hundred billion stars. These are immense multitudes. Almost all stars might have their planets – we’ve already discovered a thousand of them – and some of those planets, be it 10 per cent or even one per cent, might be suitable for the origin of life. RT: By the time the Earth runs out of its resources – and they definitely will be depleted some day, perhaps in a few billion years – do you think there is a chance that humankind will be able to inhabit other planets? AF: I see what you are talking about. I’m not an expert on this, although I do have a feeling that life is generally organized in such a way that any species exists for a certain limited period of time. It is highly possible that humans are no exception. Environmental conditions on Earth changed at least five times in the 250 million years that we are able to trace back, with up to 90 per cent of all living organisms becoming extinct, and earthly flora and fauna changing completely. 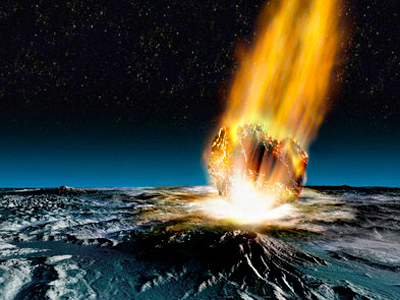 Some hypotheses maintain that it was caused by an asteroid or a comet hitting the Earth. But I’m more inclined to think that the Earth and the Solar System, or even the universe in general is something of a chemistry lab, a giant factory with its own workings, and certain species may only be designed to exist for a limited period of time. And that may also be the case with humans. I find it rather difficult to envisage that humans will be travelling to other stars and migrating to other planets on a massive scale. In terms of our immediate prospects, the primary destination for human colonization will be the Moon. I might not live long enough to see this, but you definitely will, as it will happen within the next 20 to 25 years. Three global powers – the United States, the European Union and China – are already competing to set up the first lunar observatory and hence the first colony on the Moon. Later on, people might colonize Mars. China’s ideas of populating Mars with millions of people and giving them land seem naïve to me, although the Chinese are capable of a lot. In any case, I doubt we will be travelling to other stars. RT: How will locating conscious life forms on other planets help us? AF: I do not know. For some time I stuck with the idea that we were alone in the universe, that we were unique. It seemed like the desire to discover extraterrestrial life forms was essentially a desire to answer some of the questions that troubled us all: questions related to health, technology and survival. If we do indeed discover a civilization outside of Earth, a highly advanced civilization, we may gain some technology from them. This technology would be fantastic. Look at how the world has changed over the past 40 to 50 years. The changes were radical. People who remember the first airplanes taking off and the first televisions are still alive, and on the other hand, we have the internet. It has only been 50 years. Now imagine meeting a civilization that is ahead of us by 100 or 200 years. The discoveries they must have made are unimaginable. This is especially relevant considering that technologies can be transmitted to us via signals. RT: What sort of signals would those be? 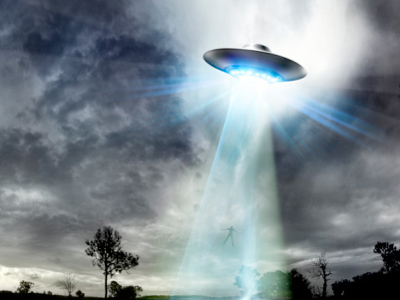 AF: The area of science that searches for extra-terrestrial civilizations is divided into three parts. We have the SETI – the search for extra-terrestrial intelligence, the CETI – communication with extra-terrestrials, and METI – the message for extra-terrestrial intelligence. The best way to do it, I think, is by radio waves. It is the most powerful transmitter we have. Moreover, it has been tested. Astronomers are looking into this; they are looking for signals from extraterrestrials and using capacities we have here on Earth to send signals to outer space. RT: Do you believe in aliens? AF: In what sense? Do I believe they have visited us? RT: That, and their existence. 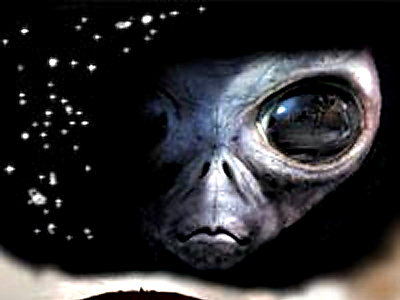 AF: If there is intelligence and a civilization outside Earth, then we would call that civilization extra-terrestrial. But the term is used quite differently by the public, to refer to phenomena that we supposedly observed here on Earth. That, I do not believe in. I know for a fact that it didn’t happen. The thing is – and the public might find this interesting – the USSR was the only country in its day to host a grand experiment. The General Staff had issued an order to various units under the Defence Ministry’s command to report any unidentified flying objects, they were called unidentified atmosphere phenomena back then. The program was called “the net”. It was divided into two parts, the Defence Ministry’s net looked for what might be traces of new types of weaponry, the other net, the so-called “AN Net” looked for phenomena previously unknown to humankind. For more than 20 years, people across one sixth of the Earth’s territory – even more than that because we had military units stationed outside the USSR at certain points – all those people monitored the skies for UFOs every single day. They detected approximately 1,000 unusual phenomena, only two of which remain unexplained to this day. The rest were either man-made or natural. Some of them were amazing. You would not believe me if I told you about some of the things that were found. People didn’t know such things could happen. Airplanes, abandoned by pilots, flew on for days, a missile was once detected that bypassed a passenger jet by a mere two meters. We saw something of the sort later on, in Ukraine. I believe it has been proven quite convincingly that extraterrestrials never visited us. It makes sense, too. The way the public is thinking… I am sure that if we were using horses to get around rather than planes, they would think aliens were visiting us on horseback. Certain phenomena are interpreted into a myth this way. RT: We recently spoke to Jill Tarter who works with SETI. She told us that if aliens do indeed exist, their civilization should be much older and more advanced than ours. She said aliens would not contact us. 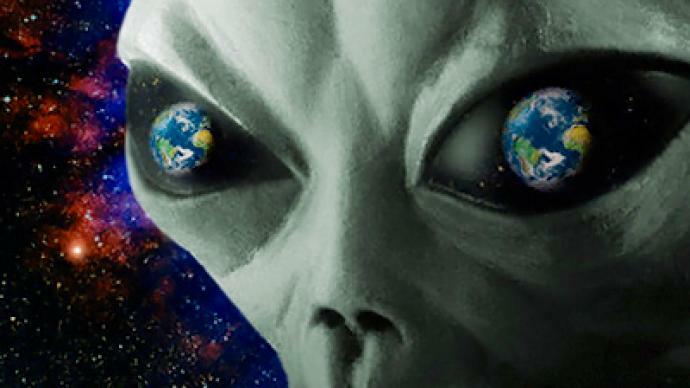 AF: There is a joke we have: the fact that extra-terrestrials are not contacting us proves that they exist and they are smart. But seriously, we know that there is no speed faster than the speed of light. It takes light from the star closest to Earth four years to reach us. It would take us centuries to devise a means of transportation that would allow us to travel this distance. We know for a fact now that the star closest to us is devoid of life. The next star, the Gliese, is 20 light years away. It would take us millennia to think of a way to get there. Physical star travel is impossible. That is my belief. We would have to revise the whole science of physics. Miracles do not happen in science. They do happen, but are a different sort of miracle to what we are used to. RT: An asteroid passed very close to Earth several days ago – it was only 12,000 kilometers away. Today everyone is talking about the risk of the Earth colliding with another asteroid, the Apophis. Do you think this is a real threat? AF: It is risky. First of all, I want to tell you that asteroids and comets played a very important role in the birth of life. Remember, the solar system is essentially a giant chemistry lab. Comets and asteroids transport matter across this lab, including, some suspect, organic matter. They have often collided with Earth. The Earth is dotted with asteroid craters. We call them “space wounds”. Some scientists believe that the disappearance of entire species of plants and animals has to do with asteroids. It happened 250 million, 50 million and 25 million years ago. Now, the Apophis asteroid is not anything out of the ordinary. What’s more, you and I may have seen something of the sort happen twice: we saw Jupiter collide with an asteroid. Jupiter is Earth’s lucky star. It is our defender: if it were not for Jupiter, all those asteroids would hit us. The moon has a lot of asteroid imprints and a comet recently flew into the sun, so there are some examples for you. The science that studies asteroids on a collision trajectory with Earth, which is approximately 10% of all asteroids, states that they do represent a threat. But back to the Apophis: I think we do not have to worry about it. It will come as close to Earth as a geostationary satellite does in 2029. It will be the brightest object in our sky. Then, in 2032, it will return but it will not pass as close. It is quite a large asteroid, about 0.5 kilometers in diameter. There is a chance of it striking Earth, that is, if it hits the so-called “keyhole”. The Earth has two of these “keyholes” in its gravitational field, each one approximately the size of the asteroid. But I do not think the Apophis will hit one. We will be able to affect its trajectory after all. RT: How? Can we destroy it? AF: Experiments conducted on Earth have demonstrated that asteroids are destructible. We will need a stronger force than what we used in the experiment to destroy it, however. Then again, we have been warned in advance which is very important. We could affect its trajectory gradually, pushing it into the gravity field of another planet. Then, after making several revolutions, it will no longer be on a collision trajectory. These ideas have never been implemented but I think they are plausible. We shouldn’t have a problem doing it, even at our technological level.